November 26, 2018 April 15, 2019 - The 'Noms. 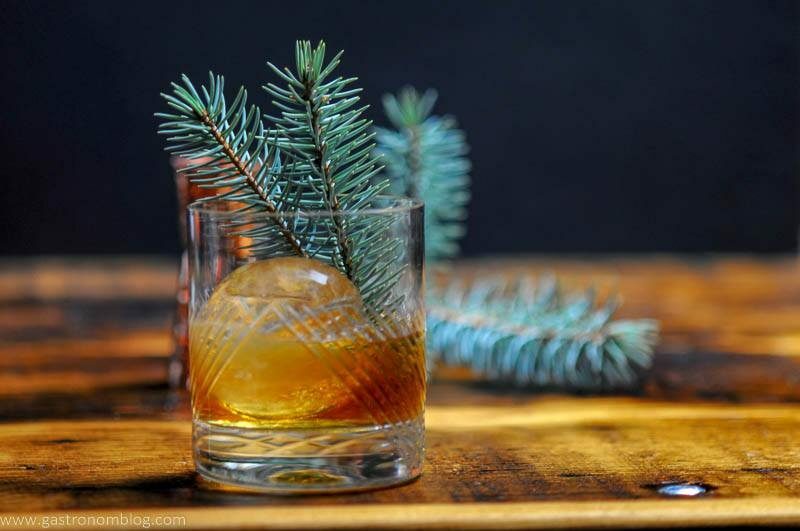 A Pine Old Fashioned perfect for the winter season! 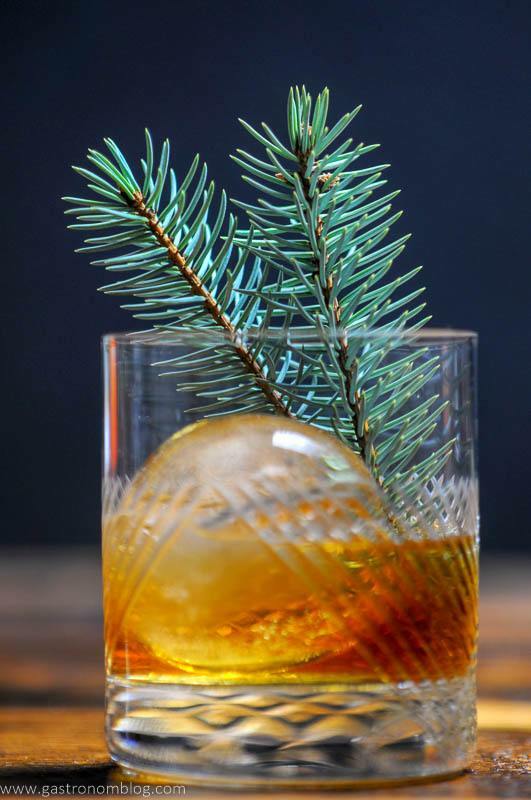 This Pine Old Fashioned is another in a group of twists on classic cocktails. We love a good Old Fashioned, which is one of the simplest cocktails, made with sugar, whiskey and bitters. 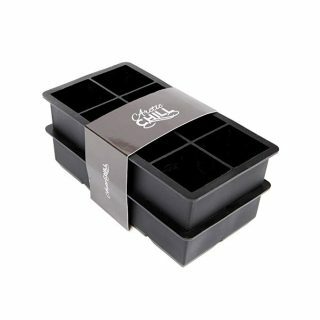 That simplicity makes them perfect for changing to easily fit the season, or whatever mood you are in! We’ve been on a real Old Fashioned kick recently, with both of us choosing an Old Fashioned as our go to drink when we want to relax and sip on a cocktail! 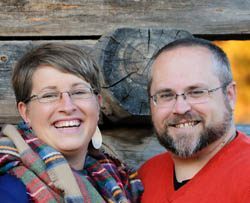 Leah and I love being seasonal, and with winter on its way, we wanted another winter Old Fashioned. 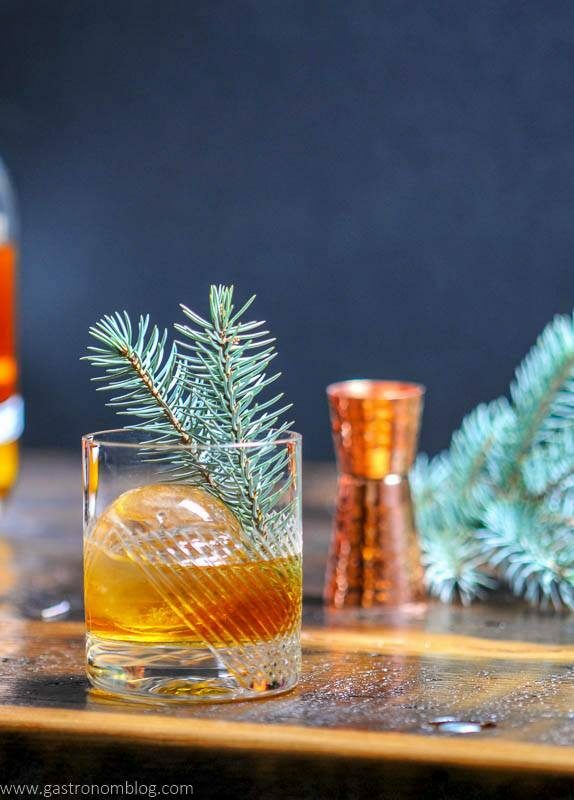 Of course we have made holiday cocktails before, like our Christmas Old Fashioned! 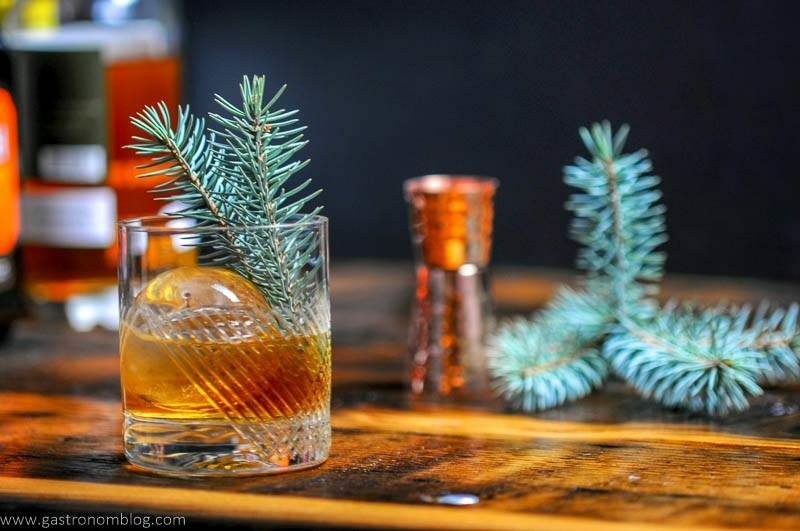 This Pine Old Fashioned will be perfect for all winter long and especially during the holiday season! We started out by making some pine simple syrup. Pine Simple Syrup you say? It’s not a strong syrup, so don’t think you are going to have some kind of Pine-sol cleaner flavored cocktail. 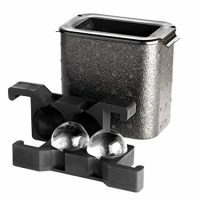 We used it in this Gin and Tonic, too! It’s very subtle pine flavor that works well with the sweet caramel flavors found in many bourbons. In this case, we used Heritage Distilling’s Elk Rider Bourbon, which has a nice hint of honey and brown sugar with a finish full of cinnamon spice. The combination of pine and the hints of honey and cinnamon work well. The flavor of the bourbon paired nicely and when combined definitely feels like the holidays! With only three ingredients making up an Old Fashioned, one of the most critical parts of any Old Fashioned is the Bitters Set . What are bitters? Originally, many bitters were formulated as medicines. Bitters are full of herbs, botanicals, bark, spices and sometimes even fruit which usually resulted in a mix with a bitter flavor. Today, rather than medicines, bitters are like the salt and pepper of the cocktail world. Bitters are a way to add a concentrated flavor that can bring out and enhance flavors that might otherwise be hidden. A couple of dashes of bitters added to a cocktail can transform a drink. 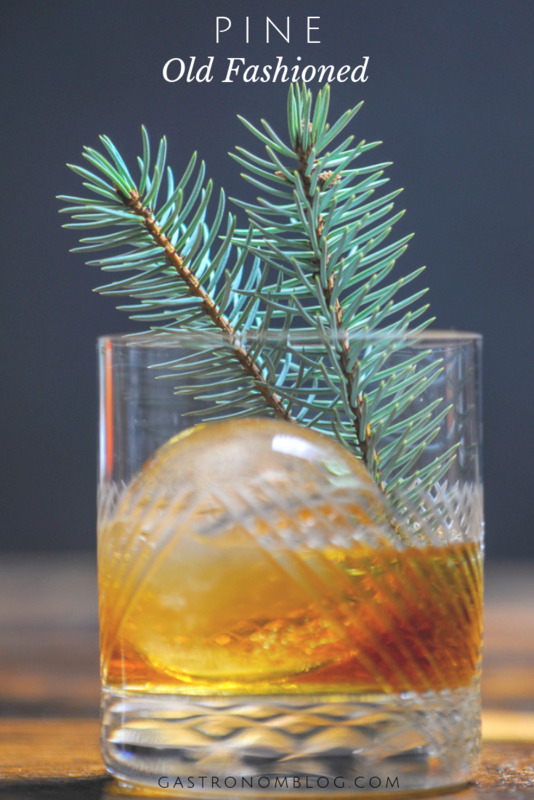 What Ingredients are Needed for the Pine Old Fashioned? With the Pine Old Fashioned being a winter and holiday cocktail, we decided to go with a bitters that would bring a little bit of that baking spice to the cocktail. 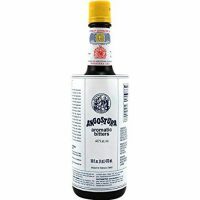 No bitters do that better than one of the originals, Angostura Bitters. Full of warm baking spices and just a hint of bittersweet herbal notes, Angostura Bitters was the perfect counterpart to the sweet pine and the caramel notes of the bourbon. 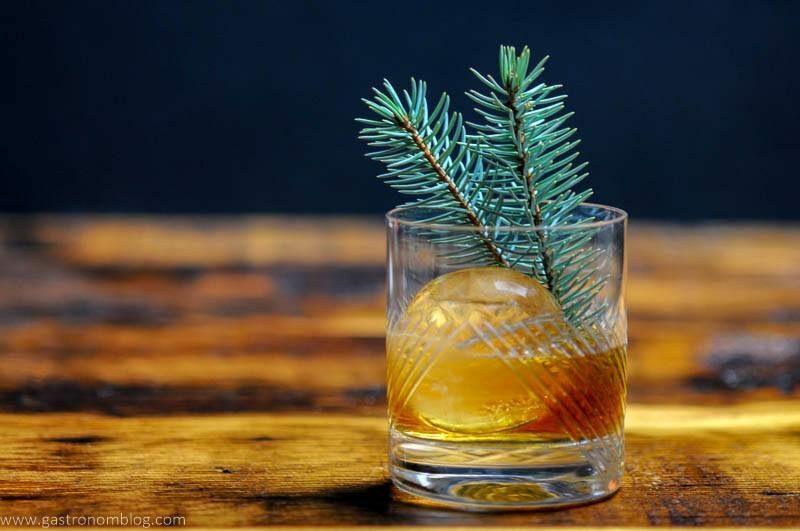 The Pine Old Fashioned is a great sipping cocktail, great for sipping next to a fireplace when there is a blanket of snow on the ground or for enjoying as a holiday cocktail! We hope you enjoy! Also, check out the pine syrup in this Honey Bourbon and Pear Cider Cocktail! A Winter version of the classic cocktail, the Old Fashioned. This one uses pine syrup for a winter flavor. Combine simple syrup and bitters in the bottom of a rocks glass. Top with bourbon and large ice cube. 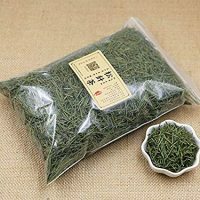 Make sure to use cleaned pine needles. 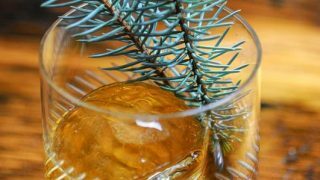 PIN THIS PINE OLD FASHIONED RECIPE FOR LATER!